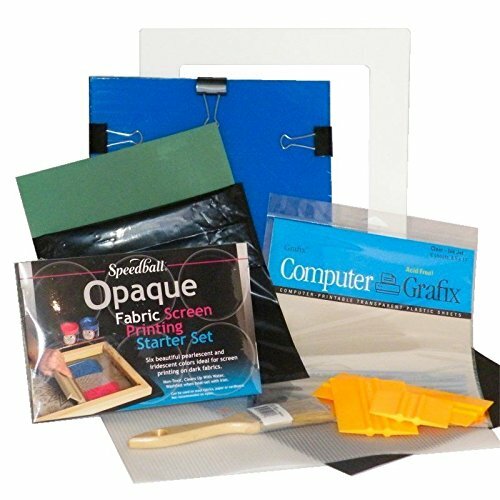 EZScreenPrint Complete Screen Printing Starter Kit, with Opaque Ink Set: easy to use, provides amazing detail, and is perfect for most stenciling and silk screen printing needs. Comes complete with everything you need to create stencils up to 8.5"x11" and screen print your t-shirts. Ideal for creating larger image screen print t-shirts and other craft projects. Speedball fabric ink set included. and Five (5) - INK JET Transparency Sheets, 8.5"x11"